Home » Blog » Can Michigan Civilian Officers Be Guilty of Policy Brutality? Can Michigan Civilian Officers Be Guilty of Policy Brutality? The civilians enlisted by Michigan’s police departments to patrol streets and communities have badges, uniforms, and guns. These armed civilians are also, terrifyingly, unregulated. Though reserve officers work alongside real police officers and sometimes assist in arrests, there are no state-established training requirements, according to a Detroit Free Press investigation. That means no screening the officers for their qualifications and no oversight or process for monitoring conduct. And that means the stage is set for police brutality, even if it is inflicted by unofficial police. 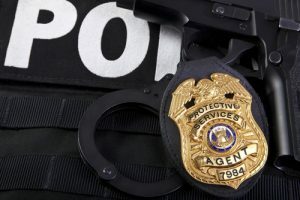 The Michigan state agency responsible for police licensing and training recently gained authority to regulate reserve officers, but there has been no management of the unlicensed volunteers. While it is estimated that Michigan has over 3,000 civilian officers, the state does not have a firm count of how many auxiliary officers there are in the state. There have been far too many unfortunate and sometimes fatal incidents in recent years involving reserve officers. Lack of regulations and a nonexistent vetting process mean that just about anyone can be a reserve officer, even convicted felons who are not allowed to legally carry a gun, even a hate group leader, and even the ringleader of a vigilante force that illegally detained teens at gunpoint. Licensed, highly trained police officers are the enforcers of the law. They are instructed and experienced in making critical, fast decisions under great stress. The responsibilities of supplementary officers – usually unpaid volunteers and often untrained – are to serve the public too. But sometimes their jobs blend too much with the obligations of official officers. Reserve officers’ tasks can include traffic control, crowd security, patrols with licensed officers, and riding horses in ceremonial parade units. However, their jobs can sometimes be elevated beyond these examples. And, without official training, which some might consider negligence, many critics say, the reserve officers are putting citizens at risk. Others believe that the auxiliary officers simply have too much power and authority, and there is great concern surrounding these weapon-holders. Many supplementary officers volunteer for their duties out of a genuine concern for helping their community and local law enforcement. Other volunteers relish the opportunity to carry a weapon and exact discipline as they see fit. The thrill-seekers and risk-takers are the dangerous additions to any police force. So, what happens when a reserve officer does wreak havoc or take a life? One of the most widely reported incidents is that of Robert Bates, a former Oklahoma volunteer sheriff’s deputy. He mistook his handgun for his taser and fatally shot an unarmed suspect. He was convicted of second-degree manslaughter and is now in prison. Perhaps Bates’ incident was an honest mistake. But what about the reserve officers who beat a suspect, handcuff people while waiting for officers, and simply take matters into their own hands? Police brutality is a reality, and many people suffer greatly or fatally for it. If you have been injured by a police officer or civilian officer, or if you have lost a loved one to police brutality, contact Thurswell Law for a free consultation. The people who are supposed to protect you should never be the ones who exact pain upon you, and you have the right to compensation for your pain and suffering. We do not charge any fees unless you collect. Call (248) 354-2222 today to schedule your consultation.